Casa Mulo Rio is a very cosy Andalusian country house, close to Canillas de Aceituno, in a stunning campo setting. It’s the last house on a country track and therefore very private and peaceful. The house is in excellent condition, you just have to pack your belongings and move in! 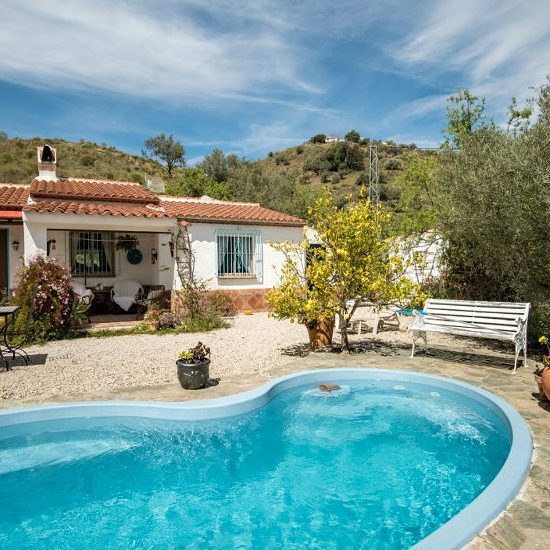 It has plenty of character and TLC, including old beams and arches, set in amiable, easy to maintain gardens with a lovely pool and nice mountain and campo views. 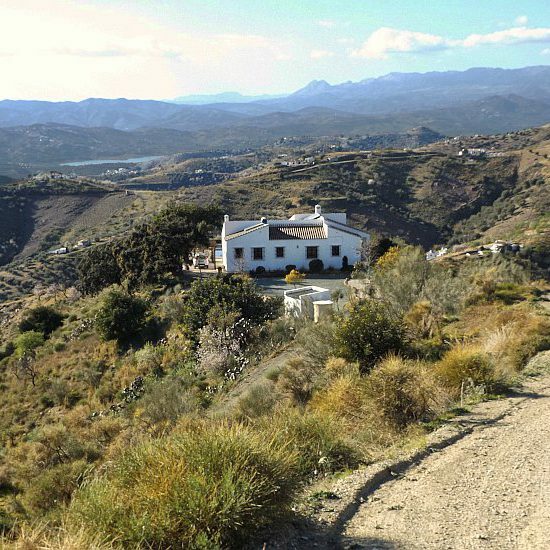 BEAUTIFUL RUSTIC STYLE PROPERTY IN THE COUNTRYSIDE OF CANILLAS DE ACEITUNO WITH BREATHTAKING VIEWS OF THE MOUNTAINS, LAKE AND THE SEA. 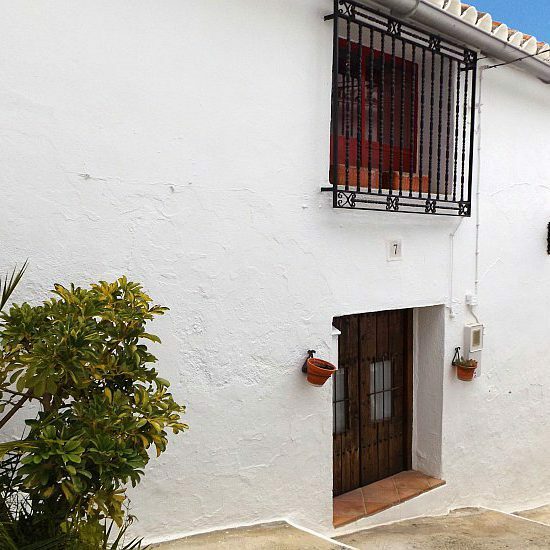 Casa Hortensia is a spacious townhouse in the white village of Sedella with many traditional features located a short walk from the plaza, close to shops and restaurants, with parking nearby. 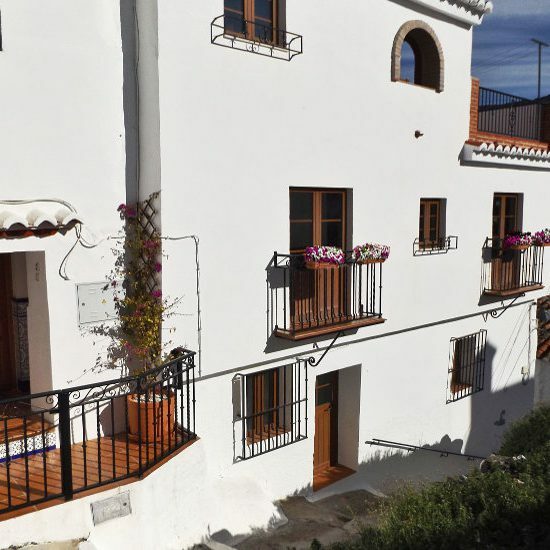 It has a lovely courtyard garden and various terraces with a 'casita' which can be used for separate accommodation or an art studio etc. This charming old vilage house provides ample accommodation with four double bedrooms (two with the potential to add en-suite facilities) and a family shower room. 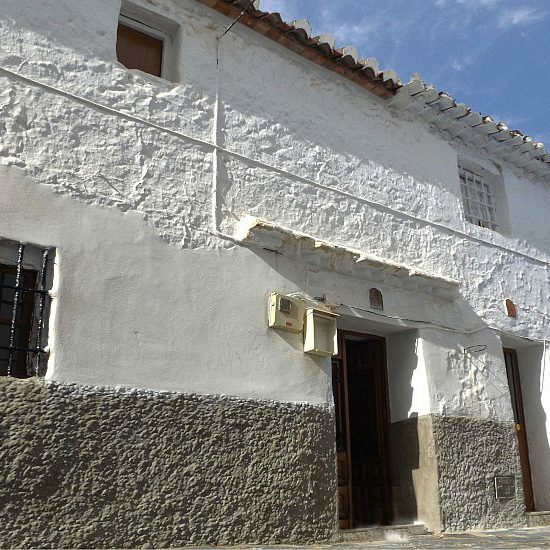 The friendly village of Canillas de Aceituno sits in the foothills of the Tejeda & Almijara mountain range and is a town of narrow whitewashed streets with an abundance of Moorish elements and architecture. 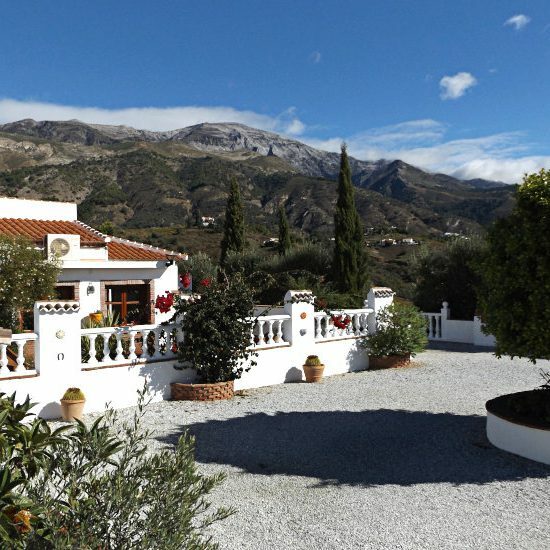 Beautiful country house in Canillas de Aceituno campo in a private, tranquil setting with breathtaking mountain views. This attractive, well designed country property with three bedrooms, two bathrooms and a good sized pool, has an enviable location in the heart of the Andalusian countryside and is accessed from a well maintained dirt track, around a 10 minute drive from the traditional white village of Canillas De Aceituno. Here you will find all the required amenities including banking facilities, shops, a traditional bakery as well as an excellent choice of bars and restaurants. There is also a weekly market on Friday. 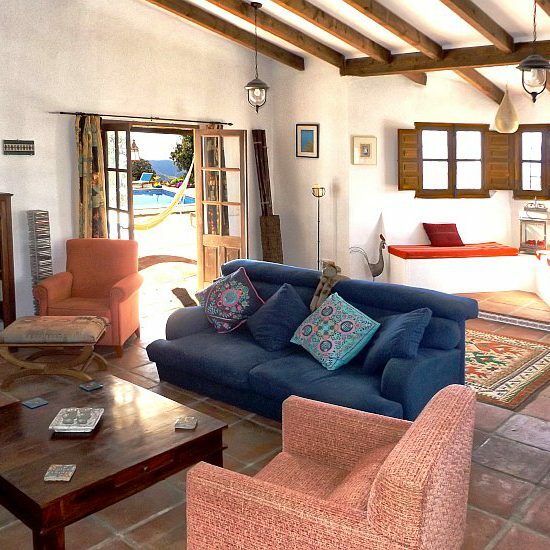 Tucked away in a quiet corner of Sedella is Casa Perejil, a beautifully renovated, spacious four bedroom - two bathroom, traditional village house with a fantastic covered roof terrace. This beautiful, lovingly restored townhouse sits in a quiet location on the edge of the traditional white village of Salares and is brimming with character including rustic terracotta floors, exposed ceiling beams, wooden windows and doors etc. 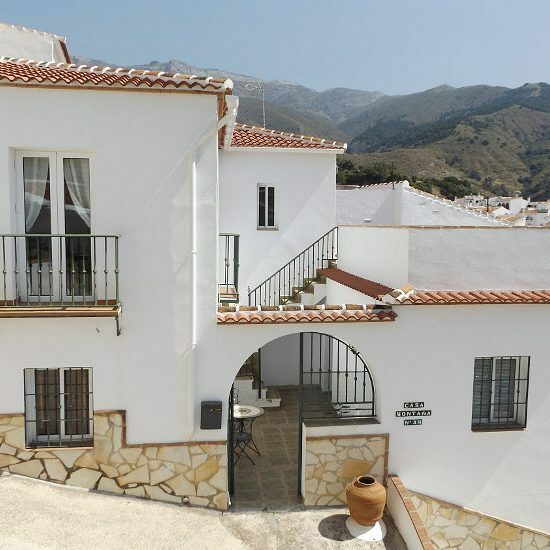 From the upper roof terrace there are spectacular 360 degree views of the village, the surrounding hills and countryside sweeping up to the stunning backdrop of the Sierra Tejeda mountain range. There is street parking by the property or in the main village car park close by. This beautifully reformed bright townhouse is situated in a quiet location in the pretty, white mountain village of Sedella. It has a truly fantastic view from the big roof terrace and is only a short walk from shops, bars, restaurants and parking. 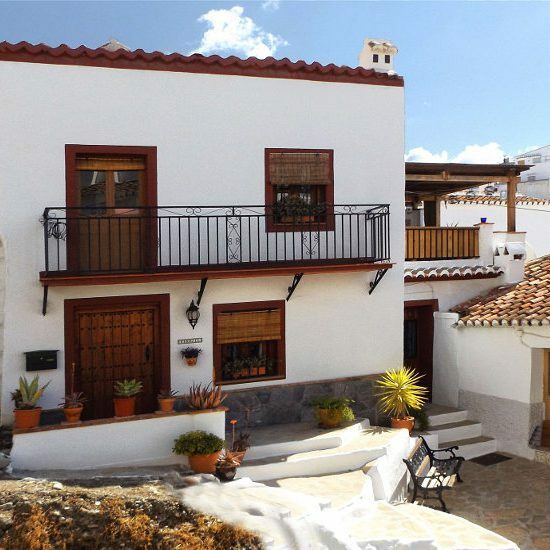 Casa Montaña is a stylishly upgraded townhouse with nice roof terrace. It contains two apartments with in total 3 beds and bads in one property, divided by a central patio that has an entrance from the street. 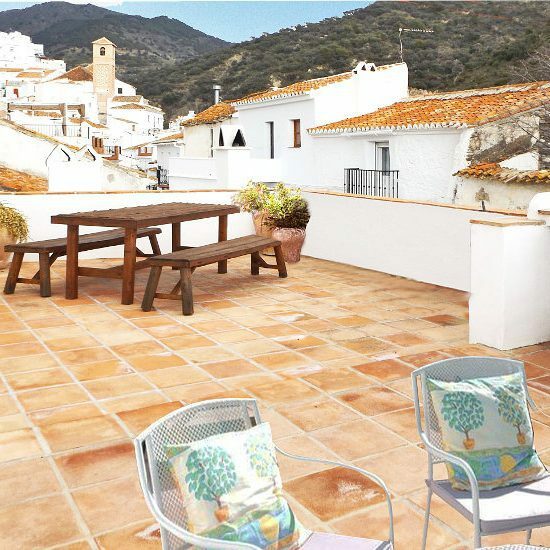 It is situated in a quiet corner of the charming, traditional white village of Sedella. 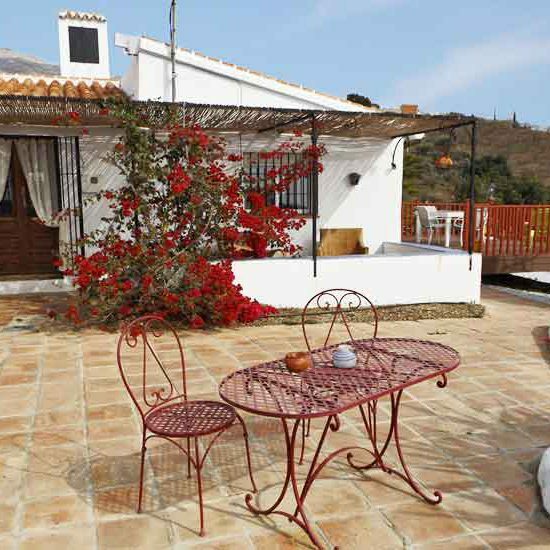 Casa El Faro is a spacious modern country villa with good access not far from Sedella. It has a large swimming pool and is surrounded by several terraces which offer 360 degree views from sun rise to sunset and towards the sea and Mount al Maroma as a backdrop.